The Screaming Pope: Is This the Year of the Horse? Amidst all the outcry about Donald Trump and the Republican establishment’s attempt to silence the billionaire real estate mogul, CBS News in New York managed to run a story about a horse which got frightened by a noise, bucked the policeman who was riding him and then bolted away into Times Square (“Mounted Patrol Horse Throws Off NYPD Officer Runs Wild Through Times Square,”WCBS, 3/2/16) No one was hurt and the damage which included some dents to cars, was apparently minor. From a news point of view, the uneventful story was indicative of how far down the food chain of reporting, local TV news has gone (another recent piece of breaking news had to do with a woman who stole $27,000 worth of bras from a Victoria’s Secret in New Jersey and who was caught when she came back to shoplift from the same branch of the lingerie chain). TV news tends to be a literal affair. 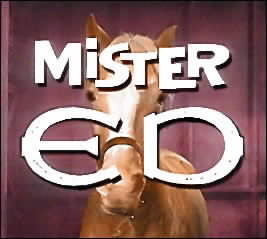 And it’s too bad that neither of the two anchors of the ll:00 PM broadcast on which the horse story aired, Maurice Dubois or Diane Johnson, saw any metaphoric significance in the attempt to reign in the frightened horse. You could say the horse was Trump, but it’s really his supporters who refuse to be stopped no matter how much their man blunders and blusters his way through the facts using name calling and just blanket insistence (that has little more factual content than the neighing of a horse) in trying to either deny or make a point. When Chris Wallace one of the Fox moderators of a recent Republican debate questioned how Trump could save $300 billion on Medicare drugs when the amount of spending for such prescriptions was only $78 million, Trump didn’t blanch and neither, it seems, did any of his supporters, at least if the polls are correct (“Fox News Moderator Debunks Trump’s Tax Cut Claims,” ThinkProgress, 3/3/16) If you are going to run a story like the runaway horse why not release it from its quotidian significance and put it up there with say the Trojan Horse which betokened the defeat of a great adversary. If Democrats are traditionally identified with the donkey and Republicans with the elephant, why not identify Trump’s renegade followers with the horse. The runaway horse in quesrtion was finally caught and brought to a midtown garage which the New York City’s mounted police use as a barn. Will that be the fate of Mr. Trump and his supporters? Will Mitt Romney and John McCain make sure they’re summarily marched off to a holding pen, a posh little redoubt with lots of freebees and entitlements, until the convention is over and the G.O.P. can put forth its customary elephant?